Each year the Atlanta Business League (ABL) recognizes local chief executive officers (CEO) for outstanding participation in minority vendor development and community activities. The honors we confer are based in part on the willingness of extremely busy executives to take on work vital to carrying forward the agenda of the ABL and the business community, which is establishing and building economic equality for minority enterprises. 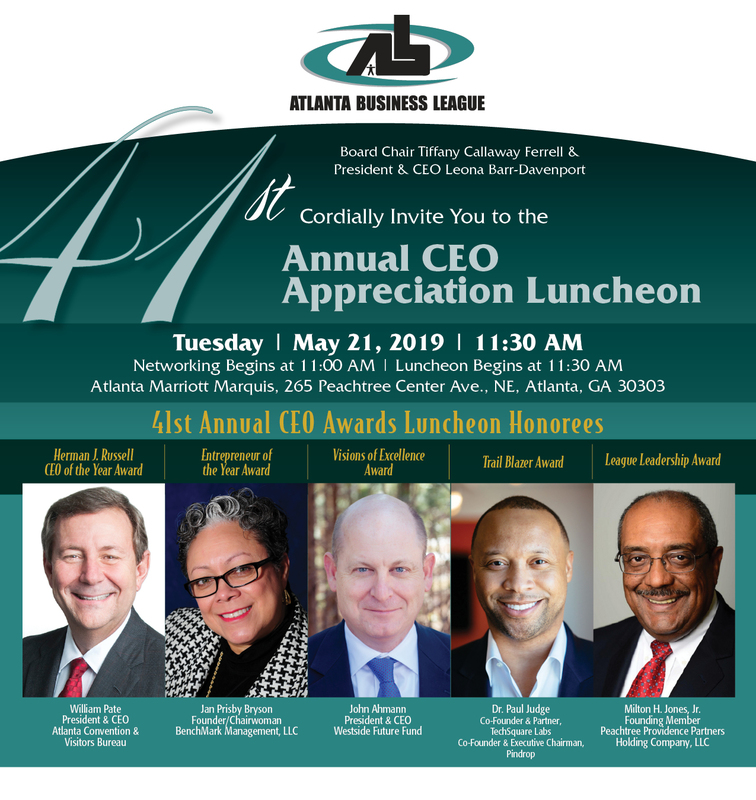 In addition to CEOs, the ABL recognizes a number of individuals and organizations that have made significant contributions in the development of minority business in the metro Atlanta area.